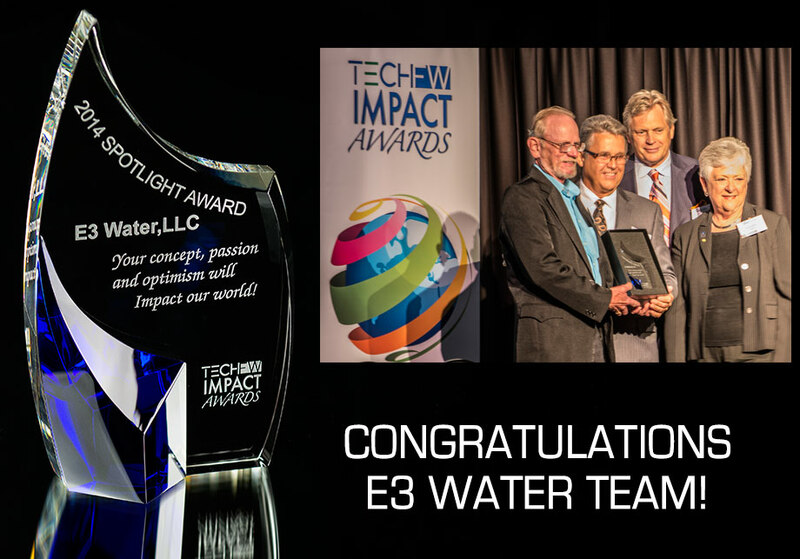 E3WATER,LLC has a system that is able to supplement and/or replace more commonly used biotechnology wastewater treatment and water purification systems in the market today. E3WATER's technologies are capable of discharging sterile and pathogenic free (of identifiable bacteria and viruses) water. 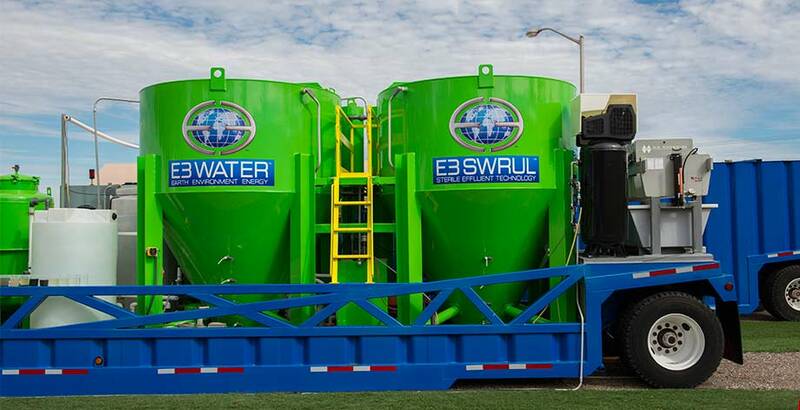 Municipal Wastewater - E3WATER's research and development is based on a system that will provide clean water through a proprietary chemical based cleansing process. The occurrence of pathogenic bio-agents, including bacteria, viruses, and endocrine disrupting compounds (EDCs) in water systems constitutes a serious threat to human health. The U.S. Environmental Protection Agency is proposing a series of new regulations to reduce the public health risk resulting from pathogenic contamination. It is being demanded that an effective technique be developed to remove bio-agents from water systems. Ultraviolet irradiation, chlorination, and ozonation are commonly used disinfection methods in water treatment. These technologies are applicable only in large-scale water treatment plants. These existing technologies are not effective to EDCs due to their extremely low concentrations and unique compound structures. Therefore, new technologies are needed that are inexpensive to operate, able to remove a wide range of compounds and capable of being integrated into existing treatment schemes and as stand-alone systems. E3WATERTis on the cutting edge of these technologies. Pathogenic bio-agents, such as bacteria and viruses, exist everywhere in water systems. Numerous species of bio-agents are entering drinking water sources via pathways like sewage effluent, sludge, solid wastes, septic tanks effluents, urban runoff, as well as agricultural practices. The use of untreated or inadequately treated water attributes to many water borne diseases such as gastroenteritis, cholera, hepatitis, typhoid fever, and giardiasis. The main causative agents are bacterial and viral pathogens and protozoan parasites. The most common pathogens are bacteria. They are usually within the range of 1000~10000 nm in size and well adapted to aqueous environments. There are many types of pathogenic bacteria in polluted water systems. They are represented by the species such as Salmonella, Shigella, Vibrio cholerae, and Escherichia coli. Viruses are also pathogenic agents that have been detected in all environments including water systems. 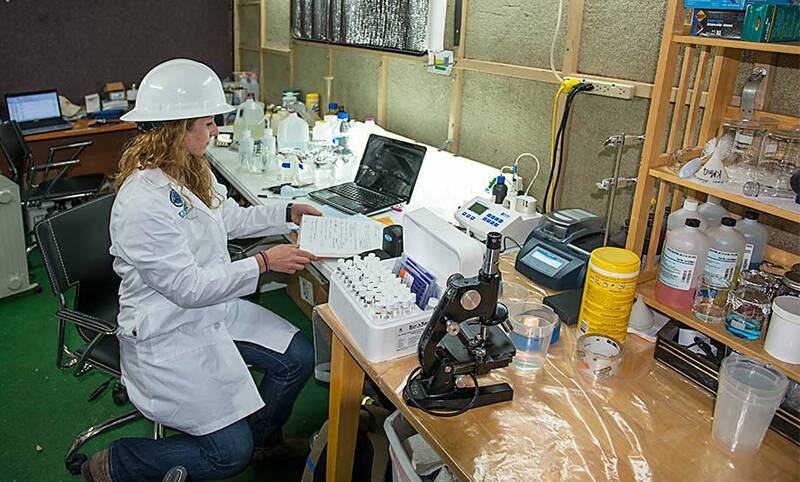 In municipal sewage, for example, more than 100 different viruses may be identified. Viruses, such as poliovirus, hepatitis A, echo, coxsackie, rota, adeno, and Norwalk-like viruses are virulently hazardous at very low concentrations. Most viruses are small (20 ~ 200 nm) and consist of nucleic acid encapsulated in protein molecules. Viruses do not replicate like bacteria in the environment without their hosts. Endocrine disrupting compounds are another group of "bio-agents" that expose a threat to the water systems. EDCs are natural or synthetic compounds (e.g., synthetic hormones, herbicides, pesticides, pharmaceuticals, and personal care products) that can adversely affect the endocrine system of living organisms. Many of these compounds have been recently detected in wastewater effluents, agricultural runoff, and potable water supplies. Common EDCs found in the waterways are the biogenic hormone, for example 17βestradiol (E2; CASRN 50-28-2; FW 272.3864), 17αethynylestradiol (EE2; CASRN 57-63-6; FW 296.4084), which have both been identified downstream from publically owned treatment works (POTW) in concentrations as high as 200 and 831 ng/L, respectively. Very low concentrations (ng/L range) of E2 and/or EE2 have been shown to affect the reproductive physiology and/or behavior of fish. Although the toxicological effects associated with chronic exposure to these compounds are unclear, the level of awareness and concern by medical professionals, government agencies, municipalities, and the general public is increasing. Numerous studies have attempted to quantify the ability of conventional and advanced treatment processes for removing EDCs from wastewaters. The reverse osmosis (RO) method uses nano membranes as the filter and is a highly effective tool to eliminate all impurities from water. However, the cost of this technology is well beyond the affordability of household and portable uses. In addition, the energy and pressurizing requirements of a RO system limit its use in the needed cases like military or mobile applications. Copyright © 2012-2015 E3Water, LLC. All rights reserved.